Solarsphere brings together astronomy and music for a festival that can be enjoyed by everyone. There'll be plenty to keep children entertained with special workshops, astronomy related activities and arts. In addition talks will be given by eminent astronomers and professional science communicators. Dark sky friendly camping will mean you get fantastic views of the night sky. Top it off with live music from well known and up and coming artists and you've got all the elements for a great little festival. 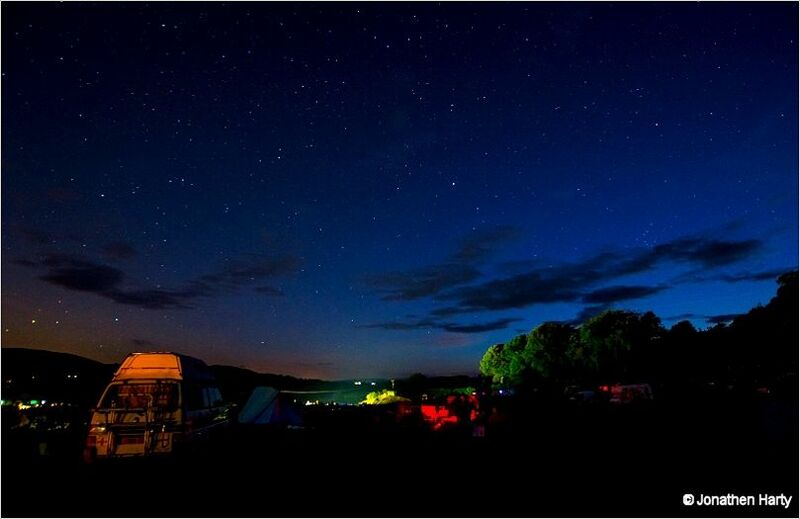 Weekend tickets are £45 for adults (over 16), £20 for children (over 13) and free for 12 and under -- Solarsphere is a wonderful opportunity to take the family away for a weekend break under the stars! - Event is a hosted at a dark sky location such as a remote campsite over several nights usually around a new moon when the skies are dark. This event is being organised by Solarsphere Events who should be contacted if you have any queries. We highly recommend you confirm this event is indeed going ahead before travelling. If you do attend it would be fantastic if you could let the organiser know you found them via Go Stargazing! Please contact Solarsphere Events directly for more details regarding this event or, if appropriate, contact the event venue. This location is estimated to have light pollution levels similar to a rural setting based on satellite data from CPRE. The below graphic shows if and when it will be dark at Solarsphere Astronomy Festival @ Penmaenau Farm on the evening of this event. Yellow areas show when the skies are not dark due to daylight (bold yellow) and moonlight (faded yellow). Click on the image for an explanation on how darkness is determined.